Last Sunday I faced a terrible predicament. 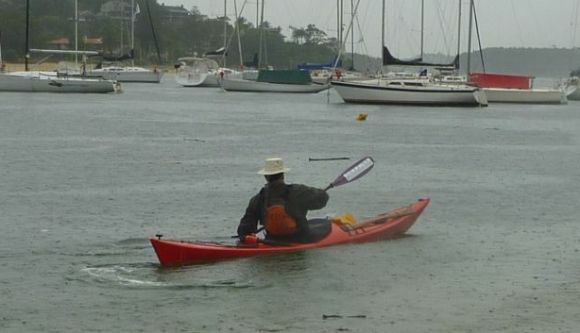 Driving to the Spit from Hornsby in howling winds and driving rain suggested that perhaps the morning’s paddle was going to be, well, a little wet. 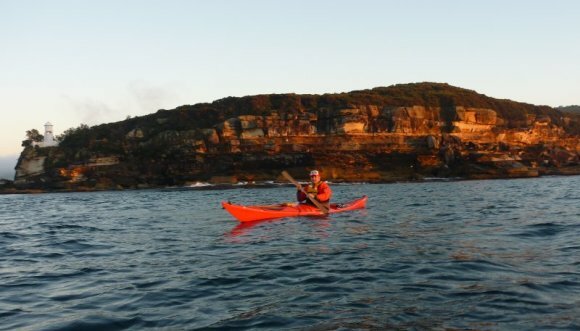 The subsequent message from Burnise cancelling his attendance suggested perhaps my paddle would be lonely too. Fortunately Rich turned up (despite his better judgement). And the paddle? 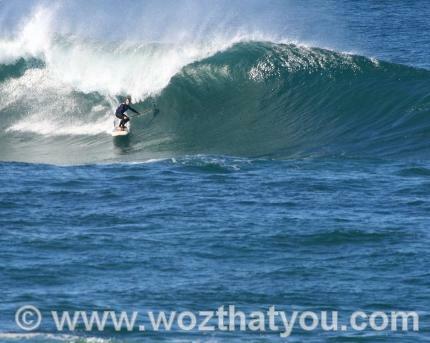 Two foot chop, 20 knot winds, and driving rain. Failing wet weather gear. 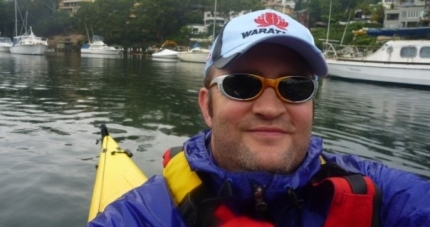 And Rich nearly taking the bottom off his kayak off via some of Sydney’s sharpest oysters! Fortunately the weather did ease a little bit for about 30 mins, allowing me to take some shots. 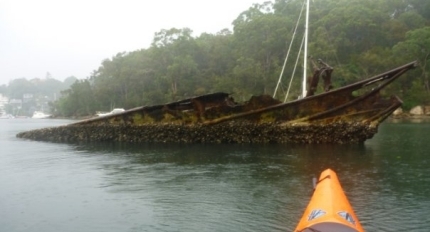 It also allowed us a little cruising time to look at the wreck of the Cobaki in Salt Pan Cove (Sydney Harbour).